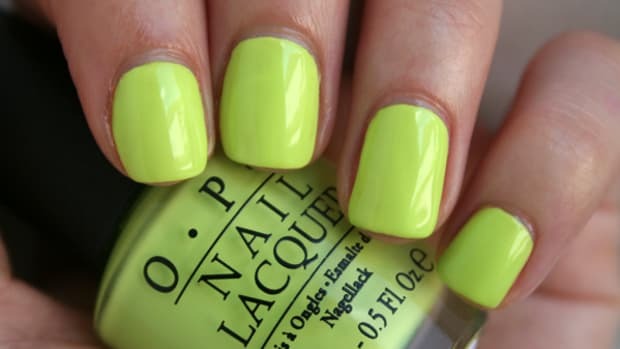 When you&apos;re looking for a new and fresh nail polish colour to buy, is it worth dishing out the big bucks? 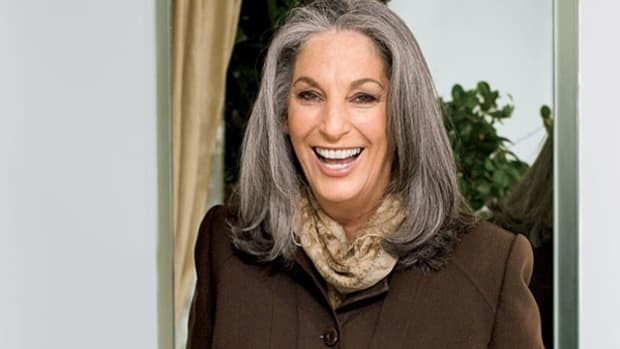 Or are there cheaper look-a-likes that get the job done just as well, if not better? 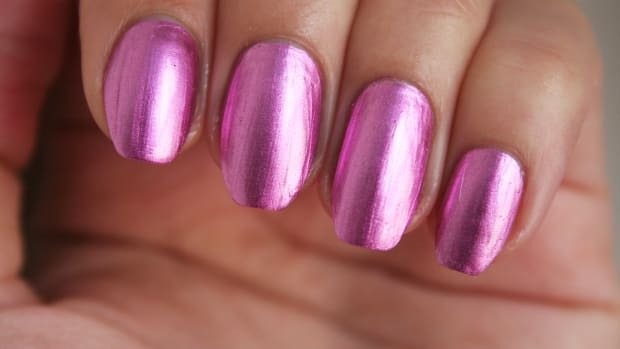 Magnetic polish is one of the newest crazes—and it involves very little effort from the person applying it. 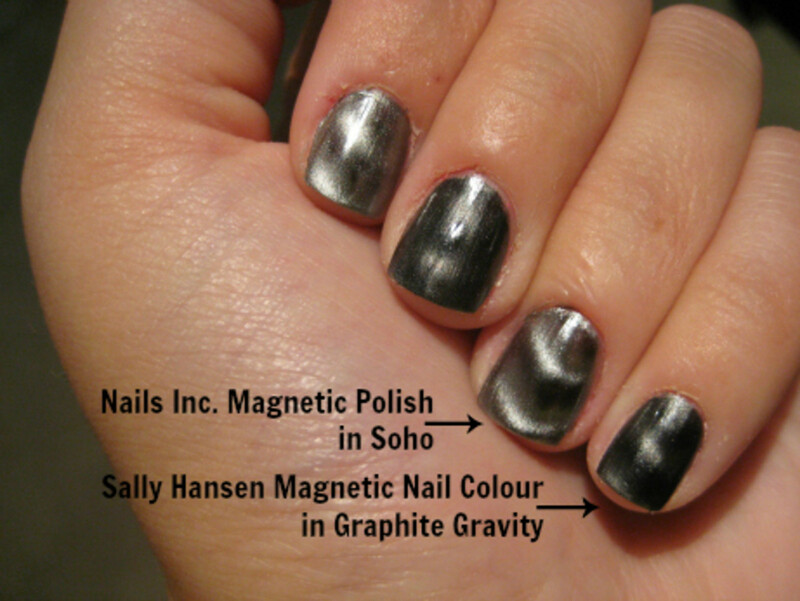 If you are into the idea of nail art, but feel you lack the artsy skill to pull it off, magnetic polish is for you! 1. Paint all your nails with a first coat. 2. Apply a thick second coat to each nail. Pro tip: Shut the bottle and shake it before you start your second hand, in order to re-ignite the magnetic “stuff” in the bottle. I found that if I didn’t, the effect became less and less visible with every finger. If you&apos;ve tried to apply a light colour before, you know: they&apos;re extremely difficult to apply. I will admit it, I am a self-proclaimed sheer-hater. One of my pet peeves is un-polished (Is that a word? Okay, it is now) nails, so I like my polish to be opaque. Some brands, like Sally Hansen, Avon and now Maybelline New York, hold amazing track records with me for creating a polish formula that is opaque even though the colour is extremely light. On the opposite end of the spectrum, sometimes OPI makes it so hard for me to get an opaque colour with their lighter polishes. You can probably tell in the picture above, the OPI is still a little bit sheer, even after the three coats I applied! Granted, I love OPI for their darker shades. 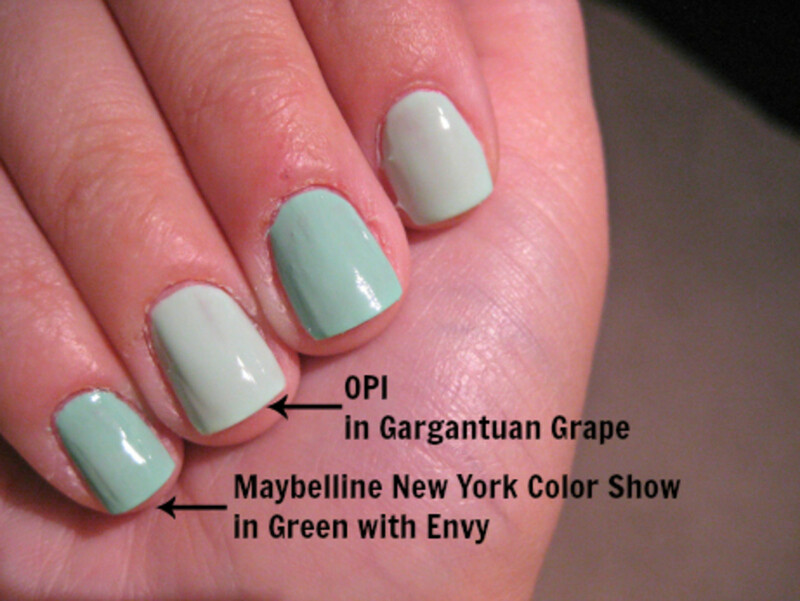 However, when it comes to mint green... Maybelline’s new polish line Color Show has my heart. Their mint green, Green with Envy, gave me full coverage in one layer! Verdict: Save your $$$ and hit up your local drugstore. I love when it’s that time in the year, where we swap out the summer neons and brights for the fall jewel tones. Plum seems to be on its way in as a fall trend. 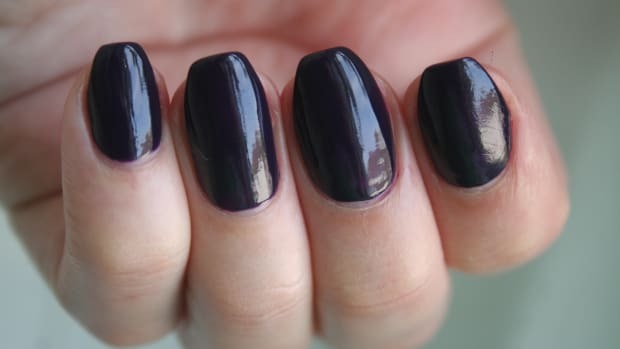 If you&apos;re diggin’ this newly popular colour (like I am), and thinking of investing lots of $$$ in a new polish... listen up! The Sally Hansen is a teeny bit darker, but still has that extra "oomph" from the subtle shimmer like the more expensive Plum from Sephora by OPI. Let’s be honest... they are almost virtually the same. Also, points go to Sally Hansen for the brush: it is much thicker than the Sephora by OPI brushes, and therefore much more user (ahem: amateur applicator) friendly. Verdict: Worth saving your $$$. While I kind of think this trend is old news (we’re all free-handing nail art now, don’t you know?! ), it&apos;s still worth a look. 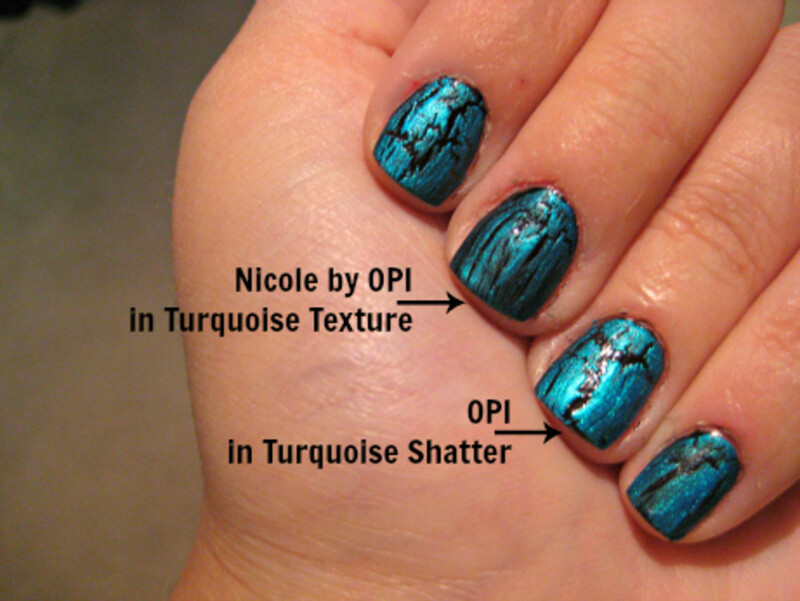 OPI came out with the original Black Shatter in January 2011, and from there, lots of other nail polish brands followed suit with their own versions. This isn&apos;t quite a save versus splurge, since both prices are the same, but OPI is a salon brand whereas Nicole by OPI is at Walmart. The answer: not really. The OPI has fewer, more exaggerated cracks, which I personally prefer. In comparison, the Nicole by OPI has lots of thin slivers... it almost resembles a wooden effect, dontchyathink?! Verdict: Personally, worth going for the salon version! But it depends on your taste—that&apos;s only if you want the true shattered mirror/glass effect. For a more subtle crackle, Nicole by OPI definitely gets the job done. See for yourself! Pro tip #1: When the OPI Shatter polishes go forgotten and sit on your shelf for a few months, they become extremely clumpy and therefore don’t shatter as well as a fresh bottle. Try to remember to give it a stir... it helps a lot. Learned that the hard way. 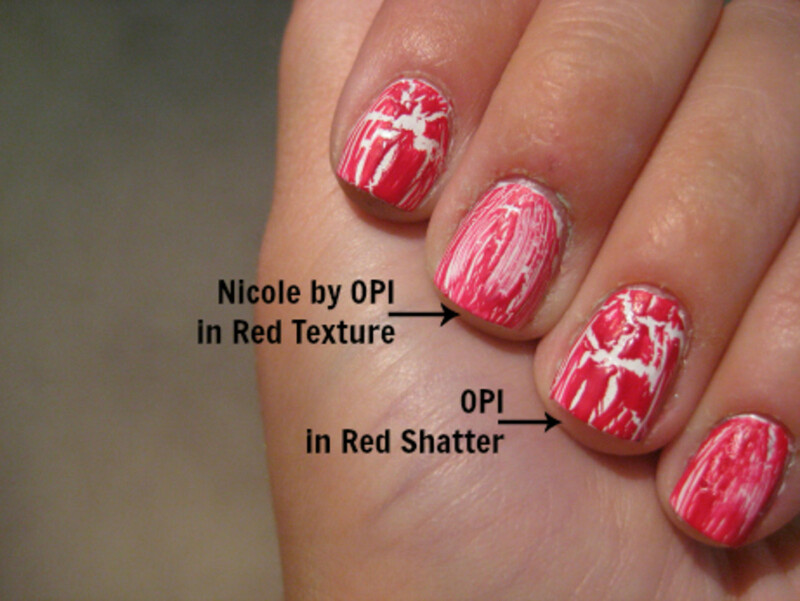 Pro tip #2: Don’t use a coloured shatter or crackle polish that is similar to the base colour you applied. Instead of creating a super-funky effect, it just looks like extremely lumpy polish application. As a nail polish addict, I dabble in all sorts of nail polish brands ranging from $1.99 to $25. While it is exciting to splurge on an unique and unparalleled colour, it is nice to know that there are great—if not better—options for us folk who can&apos;t always drop the big bucks for something that chips away after a week or so anyway! How much do you like to spend on nail polish, and how often do you buy it? Which brands, colours or textures are worth the splurge? 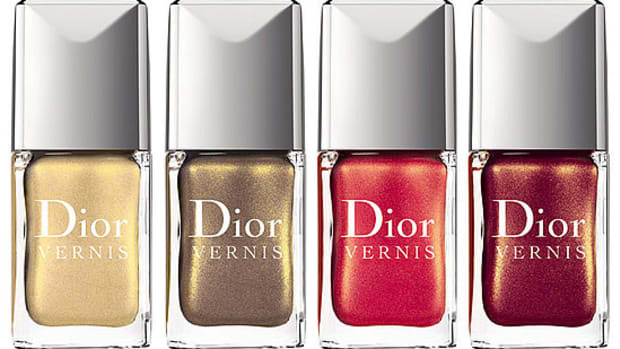 Which drugstore nail polishes do you swear by? Trind's Caring Colors and Treatments promise longer, stronger and healthier nails. Do they deliver?